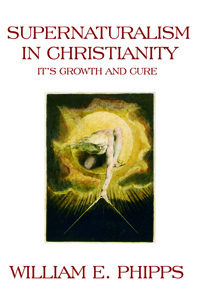 Until modern times, defenders of Christianity generally assumed without question that supernaturalism was the best means for convincing religious unbelievers of the gospel truth. For example, visions of the divine that characterized Israelite prophetic religion became distorted into stories of carnal resurrection sightings. Jesus and the apostles came to be exalted as supermen capable of nature-defying feats. The embroidery on the narratives about Jesus and his apostles in some first century writings is slight in contrast to some stories from the subsequent centuries. This book discusses what continue to be hot-button issues, displaying that supernaturalism has not lost its grip on believers. Despite the scientific revolution of modern history, a vast number of religious people still believe that the more contrary an event is to the natural pattern, the greater its religious value. Many scientifically oriented persons are put off by the literalistic biblical interpretations that do not assist in integrating religion with the natural order. This book deals with important religious issues in ethics and science.